WHAT IS EMERGENCY ID / MEDICAL ID PROFILE HOSTING? 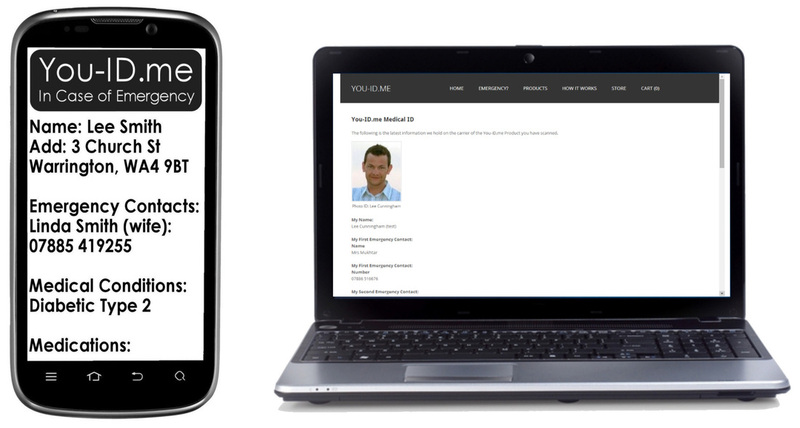 It's a secure service provided by You-iD.me. Our customers wear some kind of emergency identity product; usually an identity wristband. As well as holding limited written information, the ID product has a way for the emergency services to access more information about the wearer. This extra information is held securely online. It is referred to as an Emergency ID or Medical ID 'profile'. It is information supplied by choice by the wearer of the ID product. Your emergency profile is what helps Emergency Services QUICKLY learn the ESSENTIAL things that matter about YOU in an emergency. We host (hold) secure emergency medical ID profiles.